Replacing the windows in your home can give both the interior and exterior a new look, but that’s not the only reason you should consider replacing your windows. New windows can help lower your energy costs, provide added home security, increase the resale value of your home and make your family feel more comfortable too. 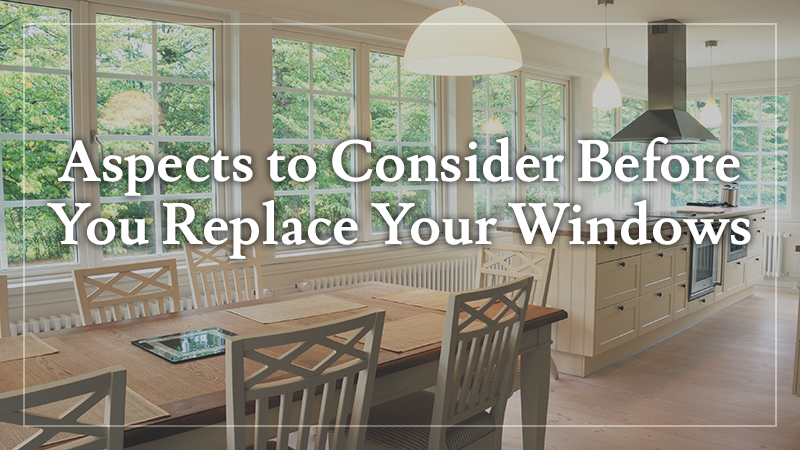 But before you decide to replace your existing windows, there are some things you should consider. The appearance of your new windows (both inside and out) is always a major concern. After all, windows help create the mood for a room and can transform a dark corner to one filled with natural light. They also help determine the overall style of the room. 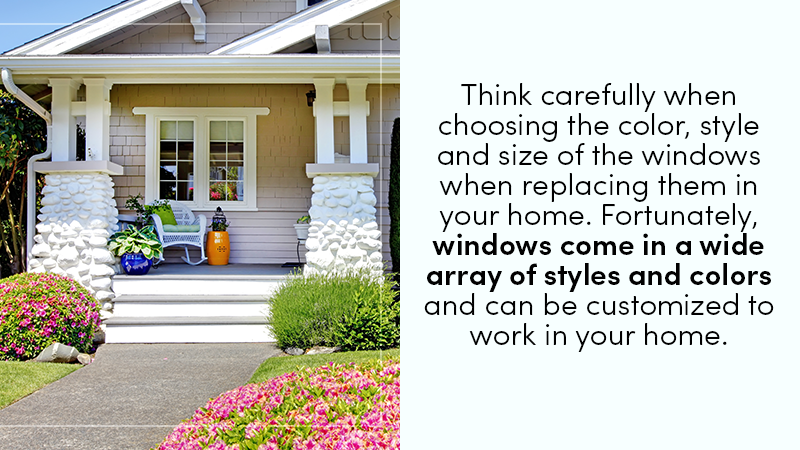 For that reason, think carefully when choosing the color, style and size of the windows when replacing them in your home. Fortunately, windows come in a wide array of styles and colors and can be customized to work in your home. Windows should be sparkling clean, but it takes work to keep them that way. That’s why you should look for new windows that are easy-to-care for, such as those that swing or lift out to be washed. Likewise, eliminate the need for cumbersome storm windows by choosing thermal or insulated ones. This means less fuss while cleaning without sacrificing energy efficiency. New Construction – New construction involves removing the entire window and its frame before insulating and installing a new frame and window. This works well if you want to add a new window where there wasn’t one before or if you want to change the size of the existing window. Because the installer is doing new construction, the window opening can be modified to fit your needs. This may mean added exterior work and may increase the scope of the job, but it does give you the freedom to make changes that better fit the needs of your family. Retrofit Windows – Retrofitting windows means removing the existing window while leaving the frame intact. A retrofit flange is placed over the existing frame, and a new window is installed. Retrofitting works best when you do not need to make any changes in the size or location of the windows, but just want newer, more efficient ones installed. With retrofitting, you have less freedom to make changes and must match the size and orientation of windows to the existing ones. Though you may enjoy do-it-yourself projects, replacing windows is a job for a professional. Experienced construction workers have the necessary equipment to get the job done properly and have the necessary experience to handle any problems that may arise. If you are considering replacing your windows, contact us at L&L Contractors today to schedule an appointment.